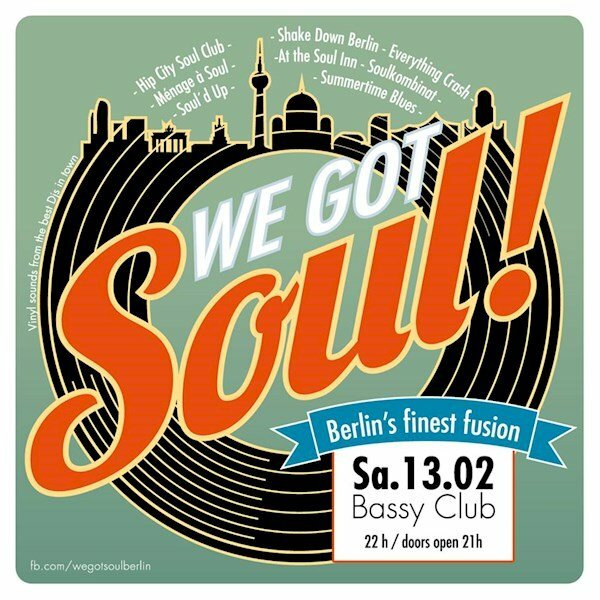 Bassy Club 13.02.: We Got Soul! This event "We Got Soul!" @ Bassy Club has already ended on 02/13/2016. Berlin's biggest and finest Soul fusion is brought to you by some cool cats from the hottest roofs in town! We Got Soul! What about you?